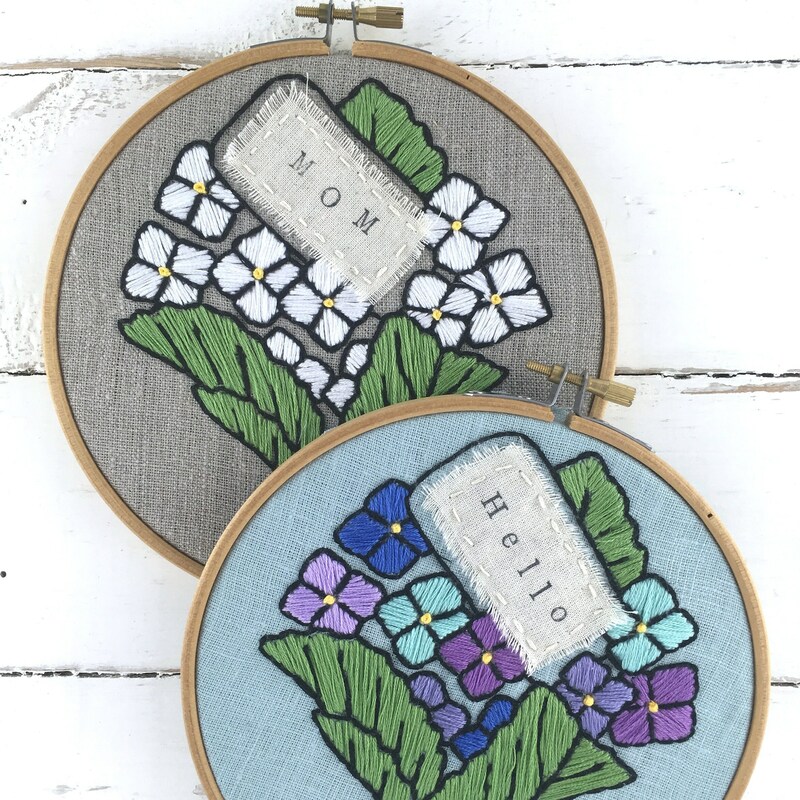 Personalize this embroidery kit for Mother's Day; or, with any word you like! 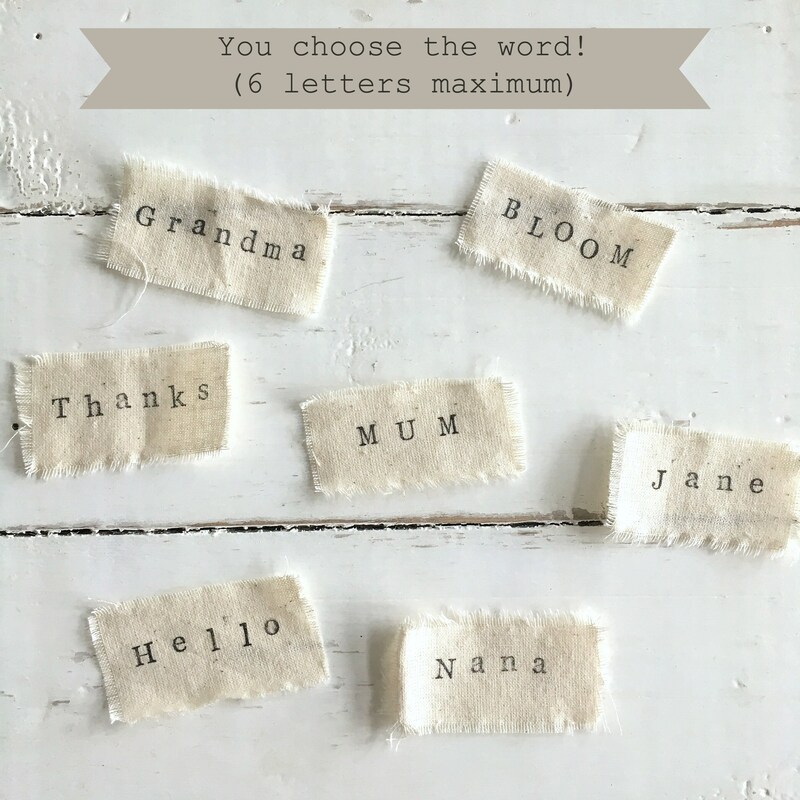 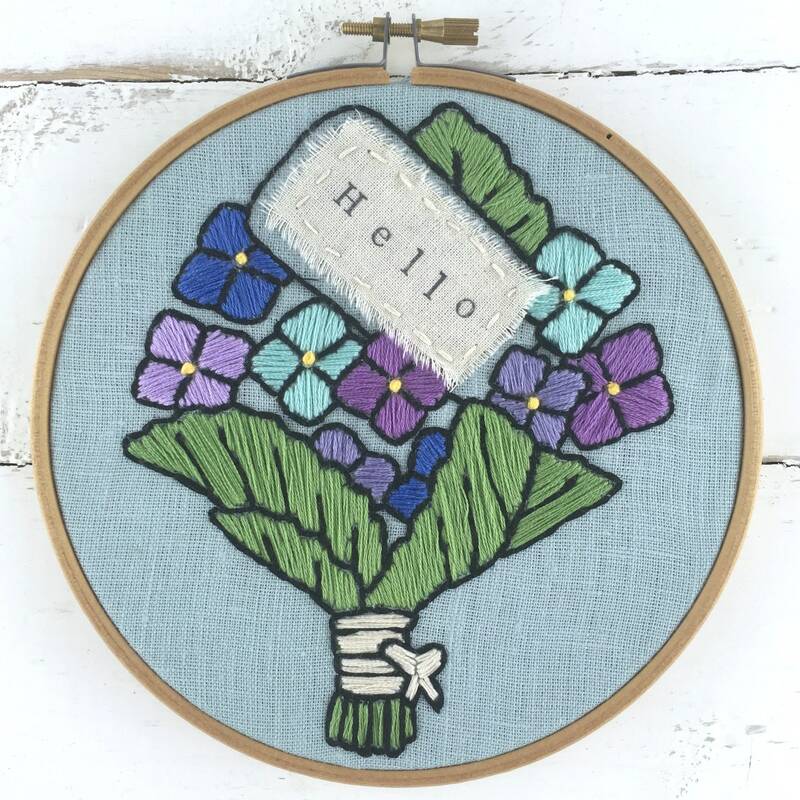 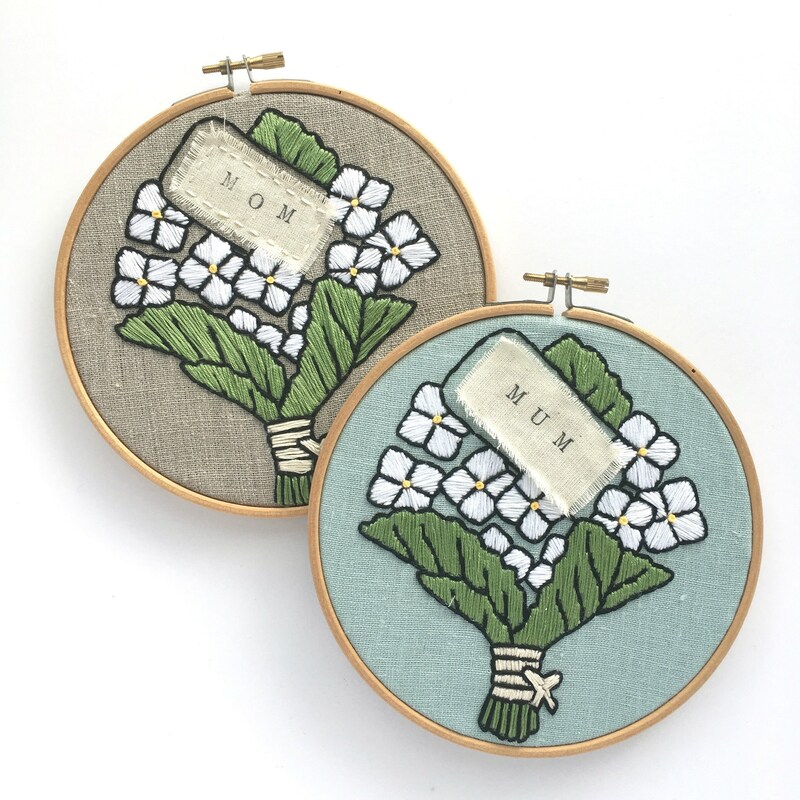 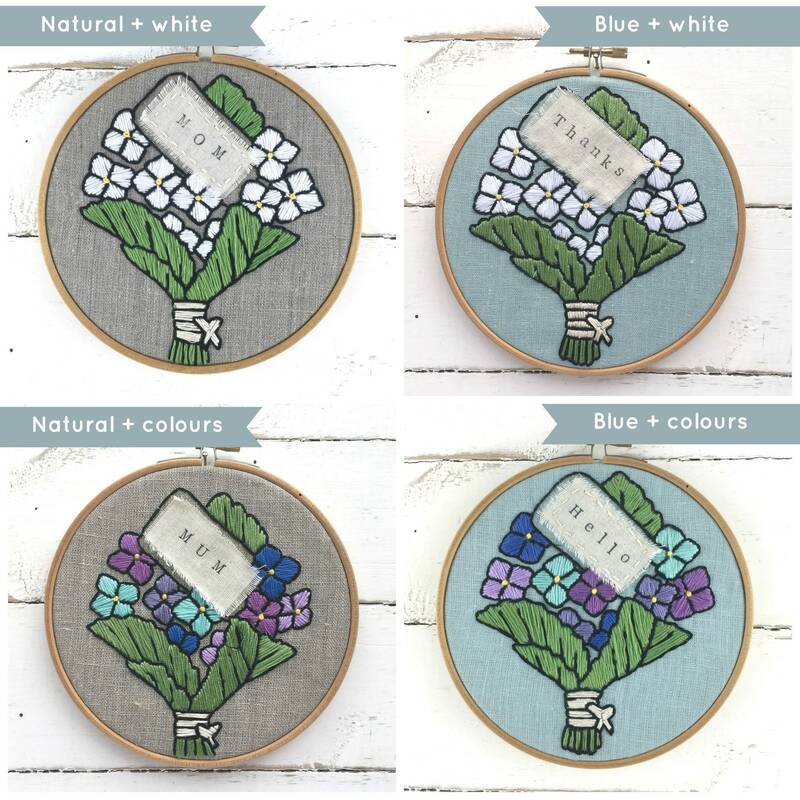 This floral embroidery kit is a unique Mother's Day gift idea; you choose the word for the tag! 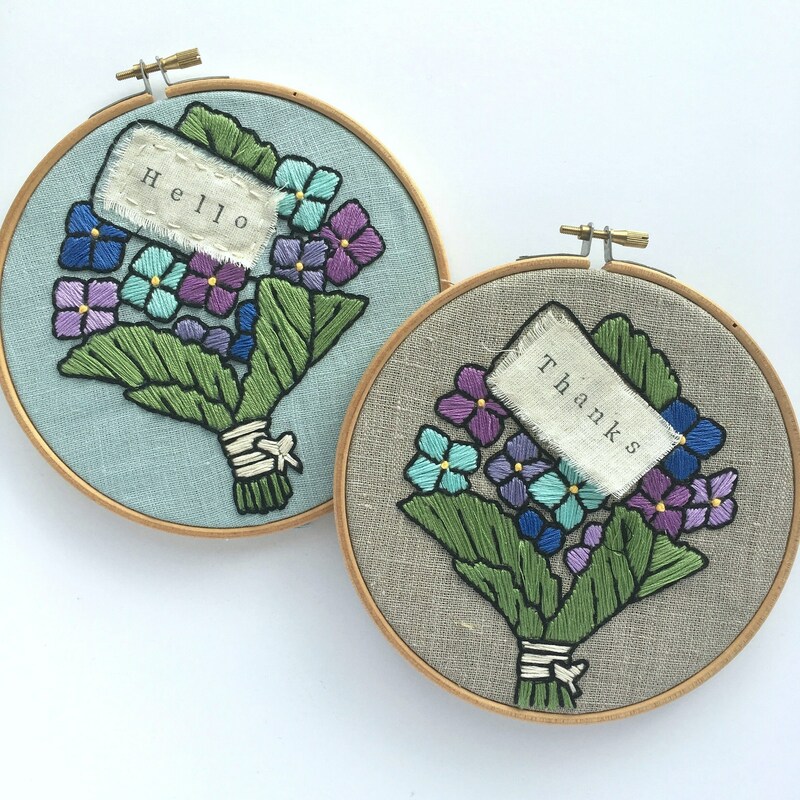 You'll stitch the tag on after stitching the flowers.